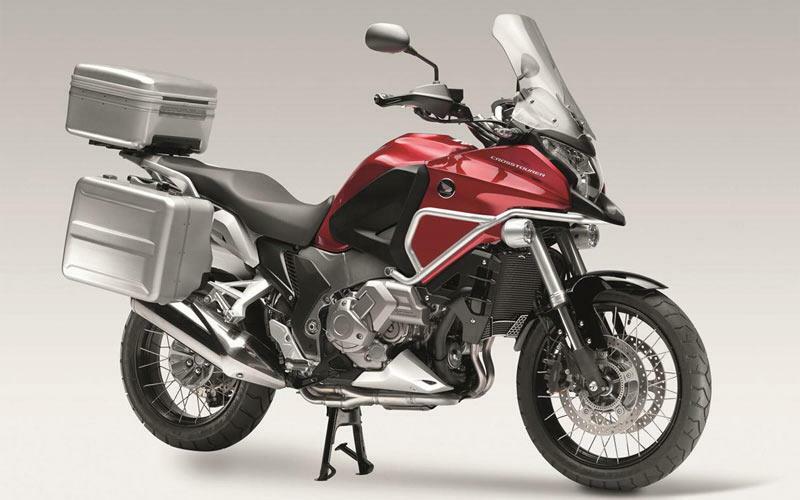 The Honda Crosstourer is to be joined by a higher spec SE model, when the new adventure bike hits dealers April 14-15. The Crosstourer SE comes with an aluminium look 32 litre top box, which can be expanded to 39 litres, matching panniers, taking the total capacity to 123 litres, heated grips, centre stand and a front cowl bar. The Crosstourer SE will cost £13,3785 - £1900 more than the standard machine at £11,475. Honda Crosstourer first ride: "One of the best mile munchers in class"